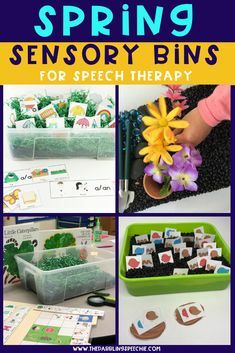 Most SLPs know that May is Better Speech & Hearing Month. This is the month when SLPs can draw awareness to the field of speech pathology. By the time May rolls around, SLPs are tired. 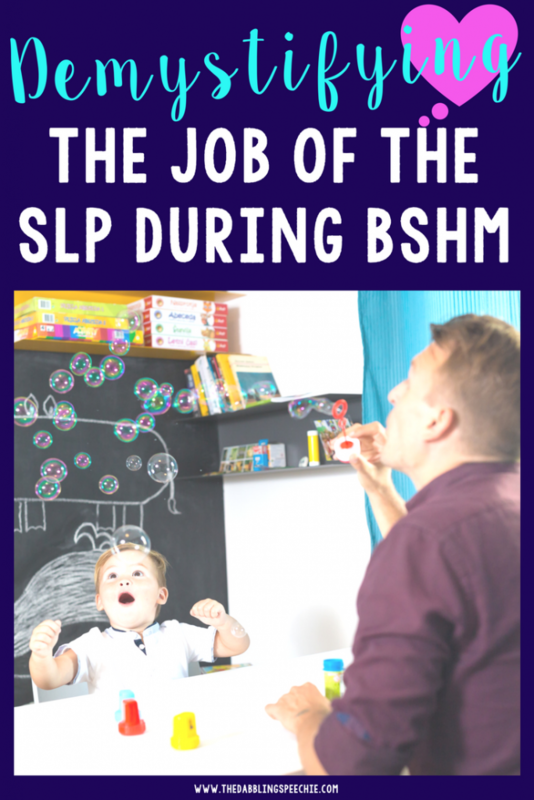 It is hard to come up with inspiring SLP ideas for BSHM. I totally get it….. Which is why I’m on a mission to demystify our role during this important time of the year and offer up some SLP ideas for BSHM. I am going to be honest with you all. IEP craziness has drained much of my creativity for BSHM. 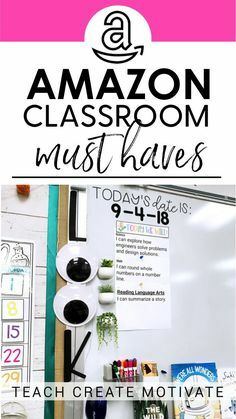 This year, I won’t be doing bulletin boards, cute souvenirs in the lunch room for teachers about vocal hygiene, or facts about communication disorders. I won’t be doing a presentation to staff about statistics or ways they can increase language in the classroom. If you do want to tackle these things, I applaud you! 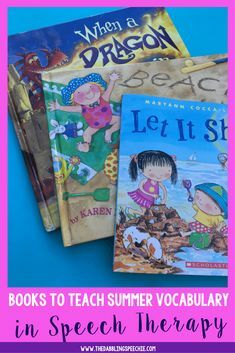 Here are a few ideas that I have done over the years (some are super easy). If you are in my boat, don’t worry — I have a fun and EASY idea for how you can help demystify the job of the SLP during BSHM. For all you fabulous SLPs feeling creative and excited to do something this month, here are some blog posts and resources that I have found to help you spread the word about speech and hearing! 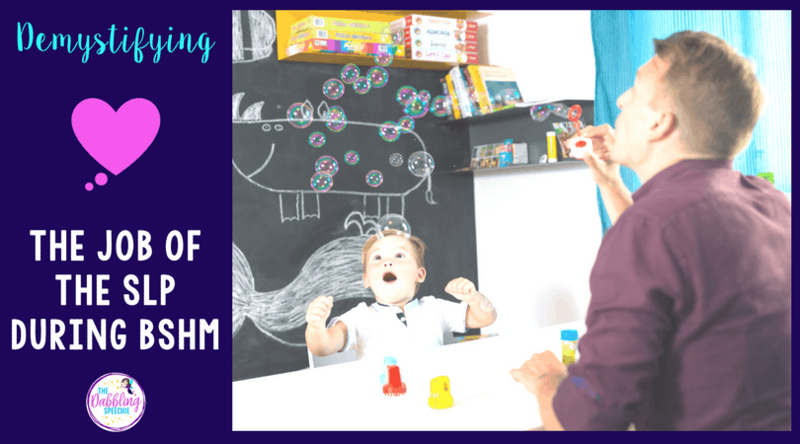 I did this blog post a few years about with ways to Celebrate Better Speech & Hearing Month at your schools! 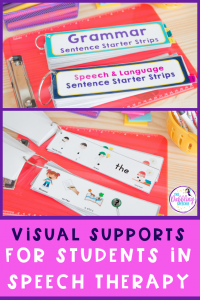 On the blog post, there are ways to celebrate SLPs, sport some of your favorite SLP themed t-shirts and an idea for a bulletin board and/or craft! 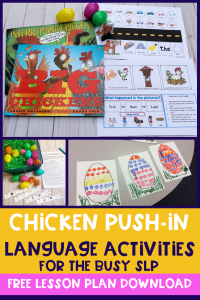 SLP Thank You Poster from Speech Room News is a great way to say thank you to the SLP working with your child, your CF supervisor or an SLP that has helped you get through the year. 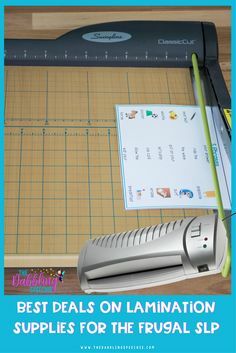 SLP Fortune Teller for Better Speech & Hearing Month by SLP Talk With Desiree has a FREE low prep printable for SLPs to help share Better Speech & Hearing Month with their students. 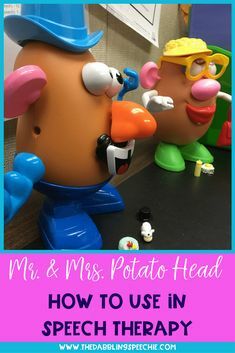 Host an SLP trivia event at your next staff meeting or set it up for people to do this in the staff lounge. This is a FREE trivia game from Teach Speech 365. The lunch room is the best place to bring awareness about what SLPs do! 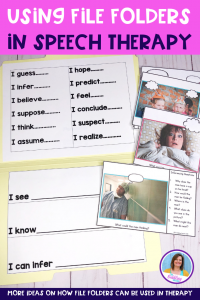 Print these free SLP poems from Creative Speech Lab and put them in $1 store picture frames. 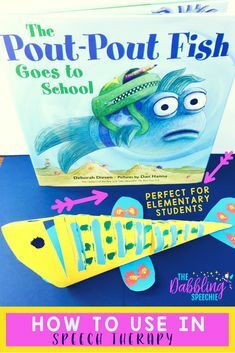 Place them on the lunch tables for teachers and staff to read while they are eating lunch. 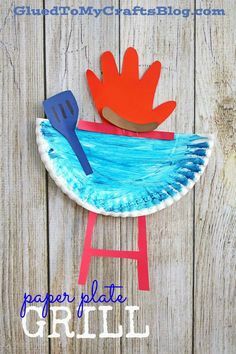 If you need a bulletin board for BSHM, Kayla SLP has a cute FREE bulletin board template. 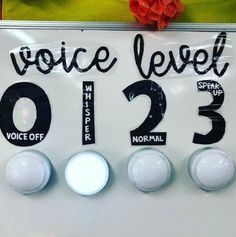 Make copies of this speech sound development chart from Gold Country SLP and put it in all the teacher’s boxes. 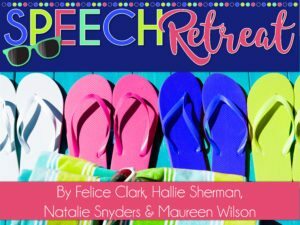 Better Hearing and Speech Month FREEBIE: Speech & Language Teacher Handout By Speech Language Pirates is perfect for giving to teachers and families to explain an SLPs role in speech and language development. Candy speaks to every teacher’s heart! 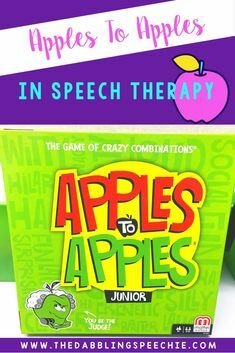 Use this FREE SLP facts sheet from Let’s Talk Speech Therapy and add a chewy candy treat. 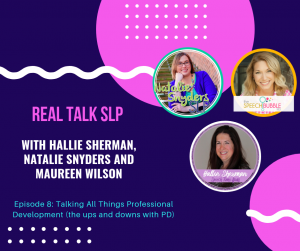 Teachers talk all day (so do SLPs lol). It is great to draw awareness about voice disorder and vocal hygiene to teachers. Print these free vocal hygiene cards and place them in the teachers boxes from A Tempo Voice Center. Sweet Southern Speech has these free water bottle labels to bring awareness to teachers about vocal hygiene. What better way to demystify the job of the SLP than putting your staff up to a little weekly challenge? Of course, you’ll likely have to entice them with some Starbuck’s gift cards, candy, or snacks for the winners. Each week, I am going to email my staff a little challenge to help the staff understand a little bit more about my job. Foster a better understanding and valuing the SLPs skills. Second, SLPs can start building community on campus around their job role. 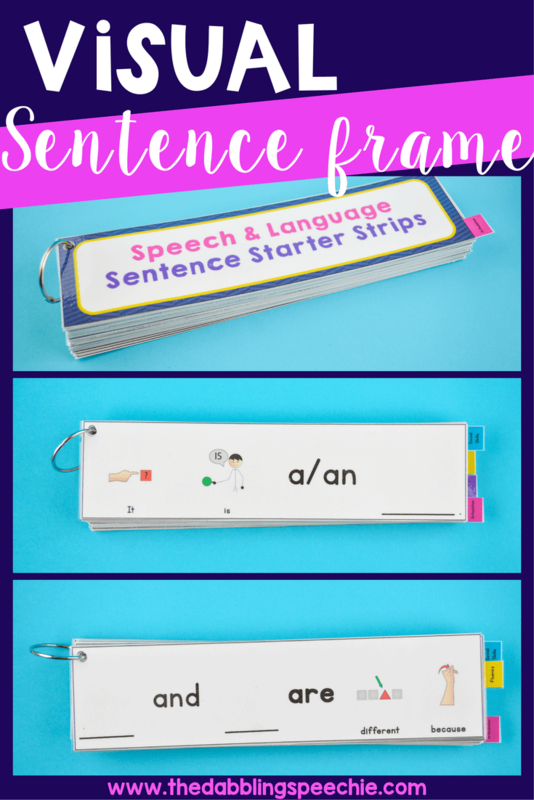 Let people know that we are kicking some booty when it comes to AAC, social pragmatics, phonology, articulation, fluency, language, speech intelligibility, and bilingual language development. It is time for SLPs to start sharing about the skill set they have around the speaking and listening standards on common core. As for me, I am going to go big with the Starbuck’s $5 giftcard for the winner because I want good participation. We all know that coffee makes people move! -First person to visit me in my speech nook will win a $5 Starbuck’s card. (For those of you lovely SLPs that are in some ridiculous spaces like bathrooms, band rooms, etc. this will be a chance for them to see your working environment. That way when you advocate for a new room, they might just chime in to help ya get something better! -Guess how many students are on my caseload (closest guess wins a $5 giftcard). -Write a message in IPA and the first staff member to tell you what it says wins a $5 giftcard. What other funny challenges could you do to help your staff understand your role a little more on campus? I would love to know what you have up your sleeve! If you share, I will add them to the post. I love the challenge idea! Our staff is always up for a challenge and I feel like it will be better engagement than just a flyer in their box. Totally going to get some gift cards and make this happen! Yes, I got some interesting answers with how many IEPs my staff thought I attended in a year.